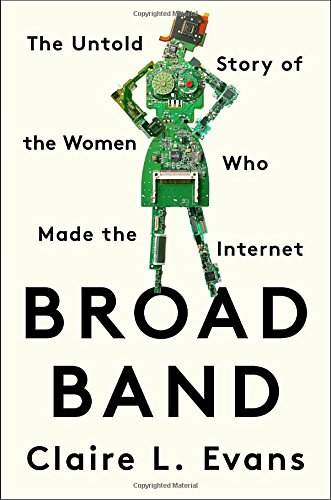 If you loved Hidden Figures or The Rise of the Rocket Girls, you’ll love Claire Evans’ breakthrough book on the women who brought you the internet–written out of history, until now. “This is a radically important, timely work,” says Miranda July, filmmaker and author of The First Bad Man. The history of technology you probably know is one of men and machines, garages and riches, alpha nerds and brogrammers–but from Ada Lovelace, who wrote the first computer program in the Victorian Age, to the cyberpunk Web designers of the 1990s, female visionaries have always been at the vanguard of technology and innovation.